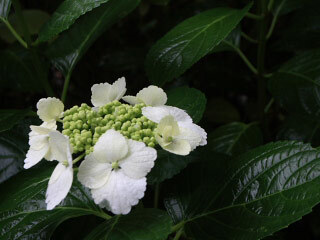 Ajisai garden of Ito Ocean Park (伊豆海洋公園あじさい苑) is a great Hydrangea spot in Shizuoka. There are 230 kinds 3,000 Ajisai trees in this garden. Ajisai bloom from May to July that is the longest season in Japan.